There is a lot of confusion around the term "giclee canvas." We use giclee printing at RoyalCanvas and hopefully this post will clear up some of the different interpretations of the word and what we mean when we say "giclee canvas prints." The term giclee originated in the early 1990s by a print maker whose aim was to distinguish the higher quality prints he was making from the negatively perceived term "inkjet." However, giclee printing is ink-jet printing. In fact, the word giclee is derived from the French word "gicler" which means to squirt or spray – as inkjet printers spray ink onto canvas. Over time, the usage of the word has evolved to be a catch all term for quality and best printing practices. 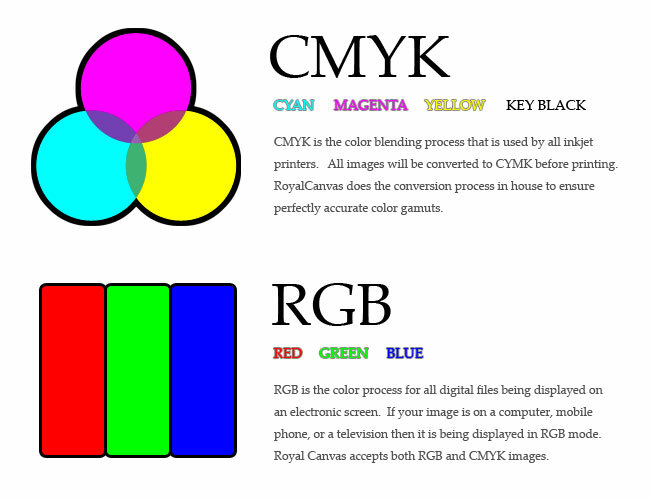 The accepted usage now means the printer is using archival inks and printing with an increased resolution and color gamut. Archival inks are designed to resist fading and the chemical composition allows the ink to hold fast to the printed surface. 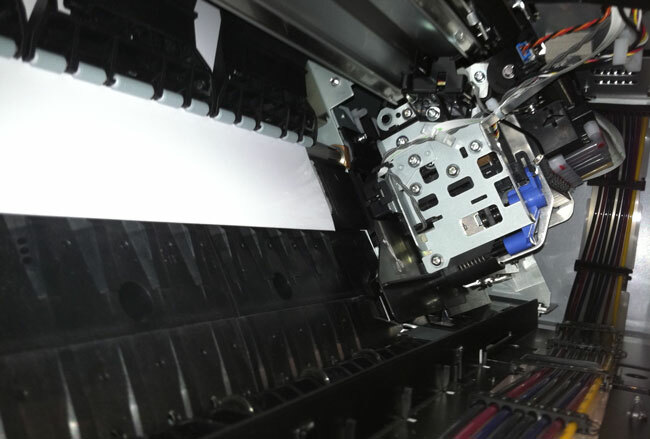 Archival ink will not "run" even if exposed to a moderate amount of moisture. Put simply, giclee prints are well made canvas prints that will last a long time. At RoyalCanvas, we use archival inks with Epson giclee printers to turn our customers photos into beautiful canvas prints. We also use high quality stretcher bars for our wrapped canvas prints. A stretcher bar is used to build a frame which the printed canvas wrapped around. 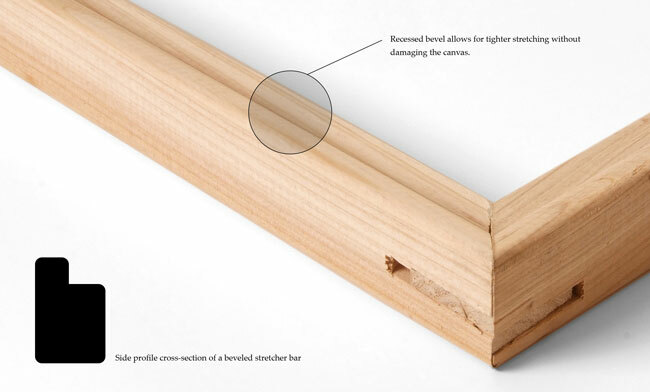 The most important qualities of stretcher bars are durability, consistency, and edging. Durability is important in stretcher bars so they don’t crack or break during shipping or over the lifetime of the canvas. Consistency means that the bars are straight, not warped, and will sit flat against the wall. We actually test all of our canvases against a wall before we ship them to make sure they will lay flat against a flat surface. The style of the front edges of a stretcher bar is also important. 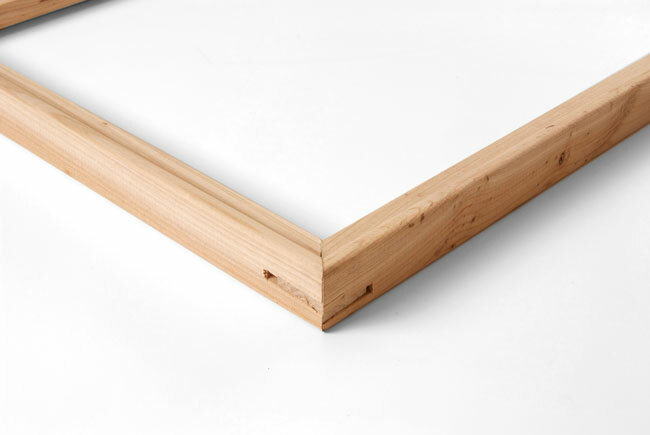 Some stretcher bars have a hard edge meaning the canvas will fold over at a 90 degree angle. Other stretcher bars have a beveled edge which allows the canvas to gradually fold over the sides of the stretcher bars. We prefer beveled edge stretcher bars. There is less chance the ink on the canvas will get damaged from stress at the edge of the bar and most of our artist customers prefer the beveled edge. If you have any questions about turning your photo or artwork into canvas feel free to contact us or get canvas printing advice using our free consultation system. RoyalCanvas also offers giclee poster printing at PosterBurner.com.